Today is the final day for campers to submit their forms and payment for the 2019 Hardin County Fair. A notice was sent electronically to campers via email on February 13th, 2019. Forms and payment are set to be returned to the secretary’s office by the end of business today. The office closes at 4:00pm. Credit card payments can be taken over the phone by calling 419-675-2396. The next regular meeting of the Hardin County Agricultural Society Board of Directors is set for Wednesday, April 3rd at 7pm in the fair office. Always lots of hay & straw, always a large assortment of wagons from large to small! The Hardin County Agricultural Society met Wednesday, February 6, 2019, for their February board meeting. Fourteen directors were present and thirteen guests were present. Brad Murphy, Vice President, called the meeting to order. Doris Kissling made an announcement that this will be her last year working in the fair office, she then thanked everyone for the work they do for the fair. Mark Badertscher, county extension agent, stated all board members are invited to the many livestock banquets that are coming up. A new change is that the dairy beef feeder exhibitors have been included in the dairy banquet and those livestock exhibitors can apply for the dairy scholarships, too. Kenny Kearns asked about having the draft horse show again during the fair. The board moved to have the draft horse show during the fair. Roger Crowe, County Commissioner, stated that the $10,000 appropriations for the fair were approved and the check is in the mail. Steve Searson, representing the Pork Producers, asked the board about adding a few items to their menu during the fair. The board approved them to add pork wings and nachos with cheese and BBQ pork. The board moved to keep the prices for box seats, gate admission and open class entries the same as last year. 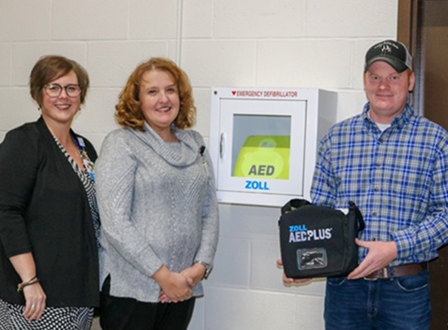 Gary and Patty Casteel were nominated as the 2019 Fair Honorees. The board moved to keep camping rates the same as last year. It was announced that there will be KOI drag racing on Wednesday night of the fair. Free entertainment during the fair will be the Columbus Zoo on Friday and Sunday, COSI on Saturday, a Petting Zoo Tuesday – Saturday, Team Zoom Dog Show Friday, Saturday and Sunday and Bear Hollow wood carver Thursday – Saturday. Minutes from the Junior Fair Livestock Sale Committee Meeting were discussed. Buyers will have the opportunity to purchase add on bids through the Fair’s website using Pay Pal. Janie Seiler, chairman of the rides/concession committee stated ride prices through Durant Amusements will stay the same. Sherri Beale, JR Fair Board Advisor, stated the first Jr. Fair Board Meeting will be Monday, February 25th at 8pm in the Community Building. The Gates/Admission’s Committee stated they will be having a meeting with the volunteer gate groups in the next 6 weeks. Janie Seiler stated a meeting was held with the Fine Arts committee and the Open Class Home Economics Committee about the fair book. She said many changes are going to occur this year with the fair book related to those departments. There was a signup sheet for directors to sign up for jobs during the consignment sale discussed. The Consignment Sale is set for Saturday, March 9th, starting at 9am. Items being consigned can be dropped at the fairgrounds Wednesday – Friday of that week between the hours of 9am-5pm. In a new outreach program offered by the Hardin County Fair’s Arts & Crafts Department, exhibitors will be able to knit or crochet a hat, scarf, or pair of gloves to be donated to Safe Haven of Hardin County. Cultural & Culinary Arts Committee co-chairwomen Lori Wilson and Wendy Thompson are encouraging exhibitors to enter knitted winter accessories, as well as to craft extras to be donated to the nonprofit. I was approached by an exhibitor who had mentioned several crafters had extra yarn after they finish their projects for that year’s fair. They wanted to use their extra materials for a community service project, and Safe Haven was a natural fit. County and this is just another example of how we take care of our own. We feel very blessed and thankful that the ladies thought of Safe Haven to be the benefactor of this wonderful outreach project. We want to thank everyone in advance for the time & supplies dedicated to making the items for our clients. Safe Haven’s mission is to provide relief for the underprivileged and distressed survivors, including children, of domestic violence by educating, advocating for, and empowering individuals. The organization promotes safety, well-being and justice while respecting the adult survivors’ right to self-direction and control over their own lives. Safe Haven is committed to fostering changes necessary to eliminate personal, institutional and cultural oppression. They believe that ending domestic violence requires connection and collaboration to create a clear vision and a collective voice for social and systemic change. 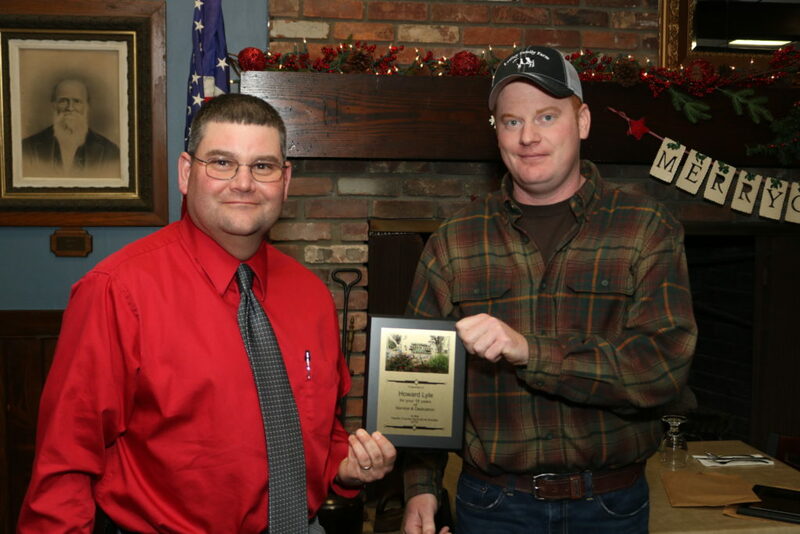 The Hardin County Agricultural Society met Wednesday, December 26, 2018, for their January board meeting and Holiday Dinner at the Plaza Inn Restaurant in Mt. Victory, Ohio. Eighteen directors were present and twenty five guests were present. Howard Lyle stands with President Corey Ledley after being recognized for 16 years of service to the Hardin County Fair. President Corey Ledley gives Paul Rickenbacher an award for his 38 years of service to the Hardin County Fair. 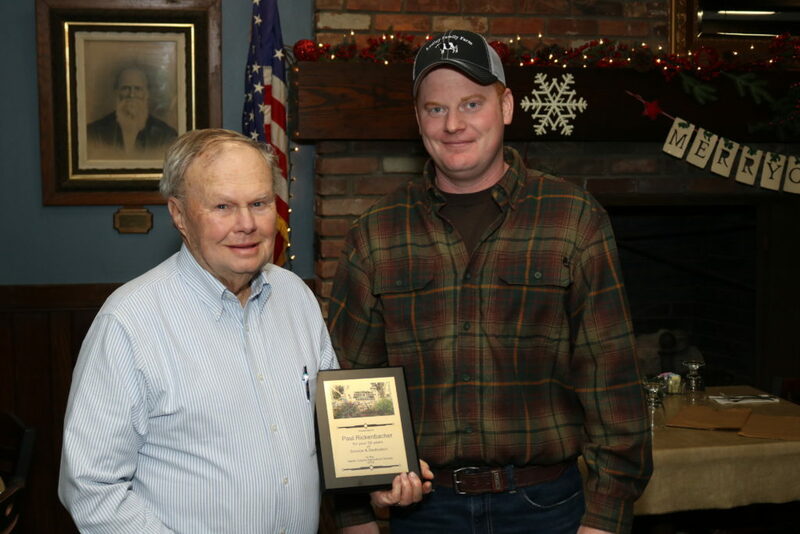 Corey Ledley, President and Brad Murphy, Vice President honored Howard Lyle for his 16 years and Paul Rickenbacher for his 38 years of service to the Hardin County Agricultural Society. Two thank you’s were read under correspondence. Brad Murphy, Chairman of the Executive Committee, reviewed the minutes from the Executive Committee’s Dec. 19th meeting. Revised contracts for Judi Cronley and Pete Fout were approved. The rest of the executive committee minutes were also approved. 2019 committee assignments were given to all members. Judi Cronley reviewed the 2018 Annual Financial Report with the board. The board moved to accept the report. Directors were all paid their annual salary of $1.00. Pete Fout, the caretaker for the grounds, stated blinds have been changed in the community building. Everyone was reminded the Jr Fair Livestock Sale Committee and Livestock Committee Meetings will be Wednesday, January 16th – starting at 6:30 pm. The steer weight in is Saturday, Dec. 29th from 8 am – 10 am at the fairgrounds. It was noted an advertising/sponsorship committee meeting needs to be scheduled to discuss the sponsorship packet and get it distributed. Nancy Rickenbacher, Jr. Fair Board Director, stated they are trying to get a group together to attend the OFMA conference in Columbus. Directors staying overnight at the convention were reminded to turn in their tax-exempt papers. Judi Cronley stated she mailed 80 Christmas cards and that the 4th quarter newsletter has been sent. The board moved to keep the Consignment Sale rates the same as last year. The Annual Consignment Sale is set for Saturday, March 9th at 9 am, with items being accepted on Wednesday, Thursday, or Friday before the sale from 9am-5pm. The next board meeting will be Wednesday, February 6th at 7:00 pm in the Fair Office. The Hardin County Fair’s annual financial report is available here.